To celebrate the new Autumn season, our chefs have put together this delicious venison burger for you to try. Mix the mince, chopped bacon and thyme together in a bowl. Divide the mixture into four and using the Weber Burger Press shape your patties. 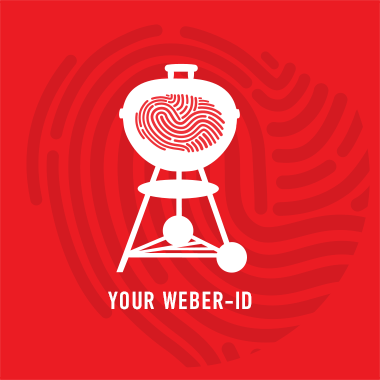 If using a kettle barbecue use a Weber Chimney Starter. Half fill it with Weber Steakhouse Charcoal and light. Once lit, pour the coals onto the middle of the coal grate. Put the grill in place then allow a Weber Griddle to pre-heat for 5 minutes. In a dish, combine the salt and cracked pepper. Press the burgers into the dish coating the outside in a salt and pepper crust. The burgers are now ready to barbecue. Place onto the hot griddle, put the lid on and allow to cook for 2-3 minutes. Cook for a further 2-3 minutes or until cooked through. Using a temperature probe, ensure the core of the burger has reached 75°C. Remove and rest for 2 minutes while you cut and toast the bun. Serve with diced sweet white onion, thinly sliced beetroot and a sauce of your choice.